During a dolphin therapy session, the dolphin directs sonar at the person, thereby scanning his or her body and “seeing” if there are any irregularities and where tension and stress are located in the body, much like with ultra-sound. With this third dimensional image of a person’s body, the dolphin then knows what area to target with their sonar. Although limited research exists for dolphin-therapy there have been a couple of very promising studies. Lily enjoyed one of her dolphin sonar sessions and celebrated her 20th birthday with us! 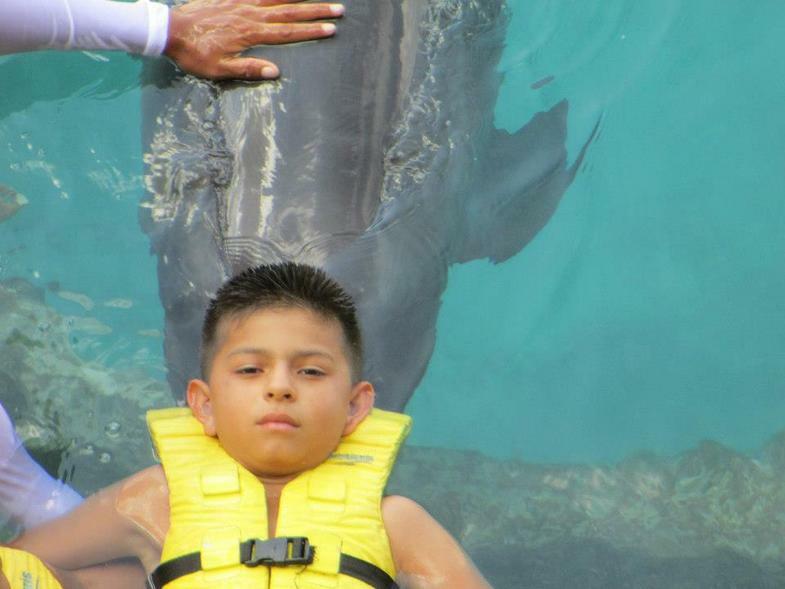 Rodrigo, a local Cozumel boy with cerebral palsy had an amazing experience with the dolphins. He got to ride a dolphin all around the pool on his last day of therapy, which is HUGE, considering that he was afraid of the dolphins the first day. See video below. Joseph worked really well with Linco and Linco loved Joseph! 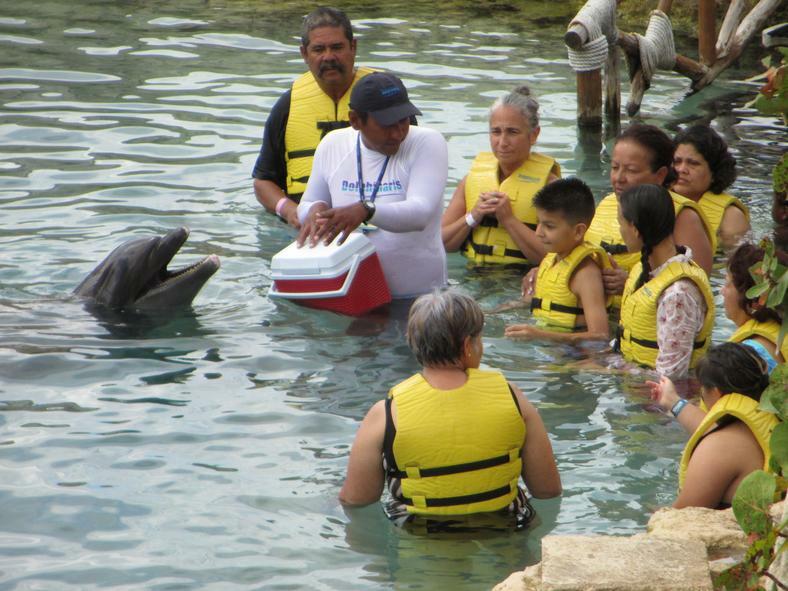 Alfred who came to Cozumel for his second dolphin therapy program gets to feed Amizcle at the end of his first session. 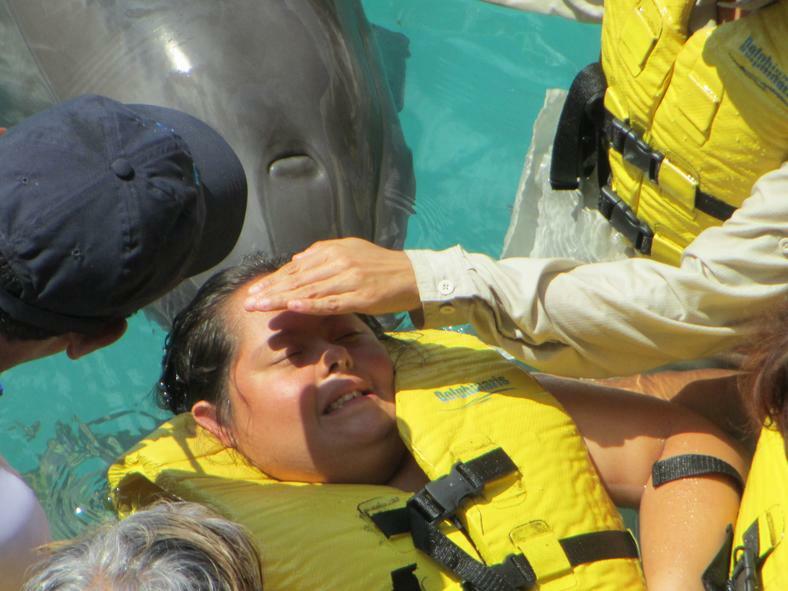 Andrea on her last day of dolphin therapy received 40 minutes straight of dolphin therapy from Amizcle! 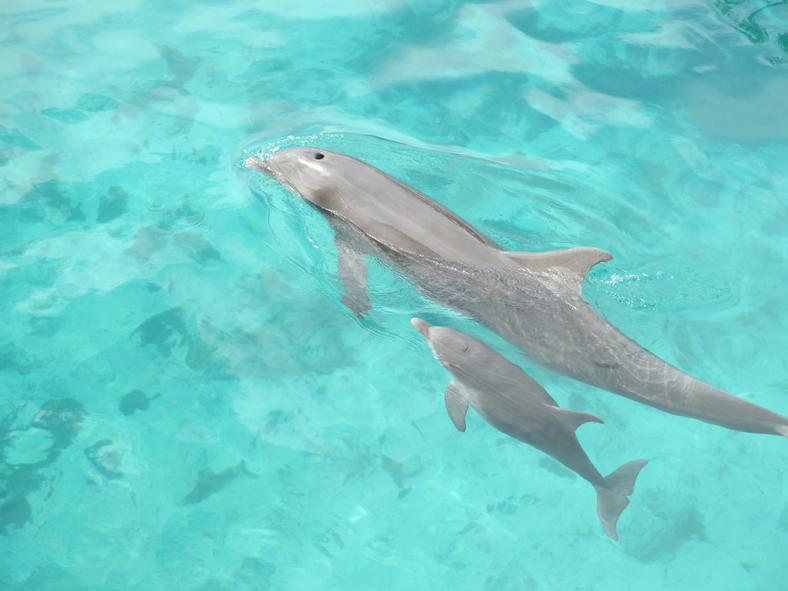 We were graced with the presence of two dolphin mamma´s with calves of 2 and 8 weeks old! Andrea and Lily with LFH´s staff Anny Ortiz. 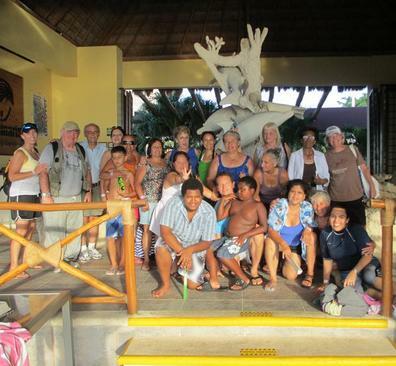 The Living from the Heart, The Dolphin Experience crew September 2012! What has been found is that dolphin interactions have a positive effect on brain wave activity, inducing an alpha state. Alpha brain waves are reflective of a deep meditative and relaxed state, when a person is relaxed, endorphins flow freely in the body and the person is in a more receptive state, opening up to healing and learning. After dolphin therapy, for a brief period of time, the two hemispheres of the brain are synchronized. Hemispheric synchronization is a state in which the brainwaves emitted from both the left and right hemispheres of the brain are in phase and of similar frequency, as opposed to having one side be dominant over the other. Hemispheric synchronization is an uncommon neurological state and it can be translated as simply a state of bliss, which has a positive impact on the immune, nervous and immune system, and it is also related to peak brain performance, which facilitates effective learning and motivation. To learn more about dolphin sonar benefits, visit our page on dolphin therapy benefits. 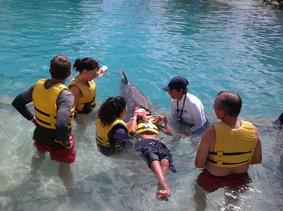 It used to be that we would schedule one or two dolphin therapy programs per year. 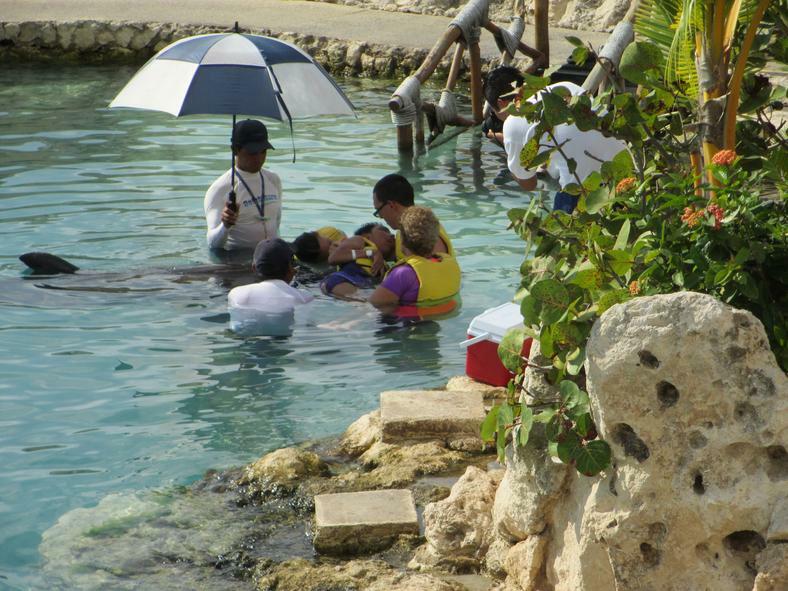 But now being that one of our key staff members, Yazmin, is a Cozumel resident, it is now possible to schedule your dolphin therapy program dates for when it is most convenient for you. Our program consists of five, 40 minute in water dolphin therapy sessions. The cost of the program is $925.00 per participant. Each participant may have 2 support persons in the water with them at no additional cost. Each of the 5 sessions include one-on-one, up-close-and-personal dolphin interaction and dolphin sonar. 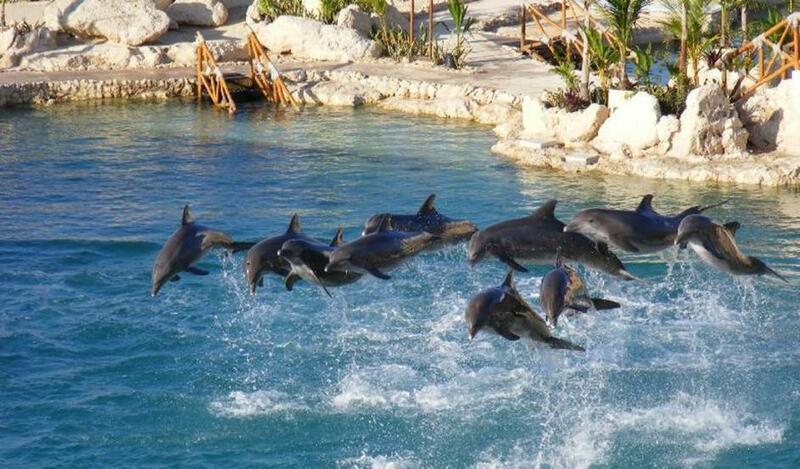 We are also offering dolphin therapy wellness programs for special interest groups. We are currently organizing a program for a yoga group from Seattle. We also have a chronic pain retreat in the works. You can bring your group of any size!! We will customize the program for your wants and needs. 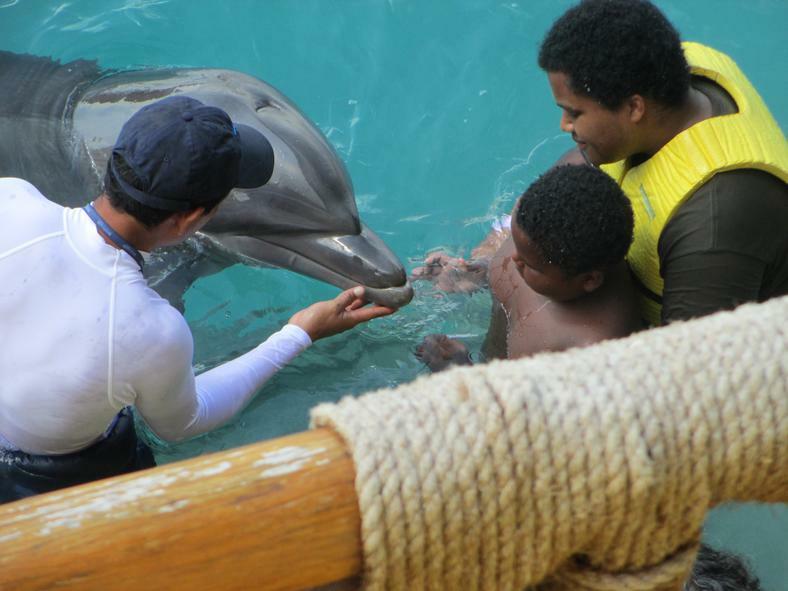 It is not necessary to have a disability or illness for our program, anyone can benefit from dolphin-human interaction. We can tailor the number and type of dolphin sessions and offer a range of types and costs of places to stay. Call Macy and she'll help plan it just for you! 303-512-3614.